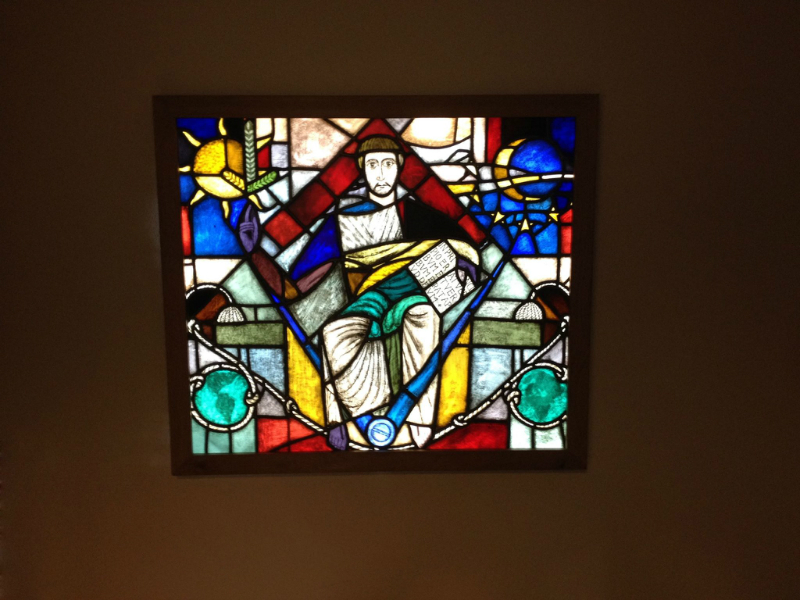 The lodge of the Freemasons had a closet an half destroyed stained glass window located where what they wanted to join . 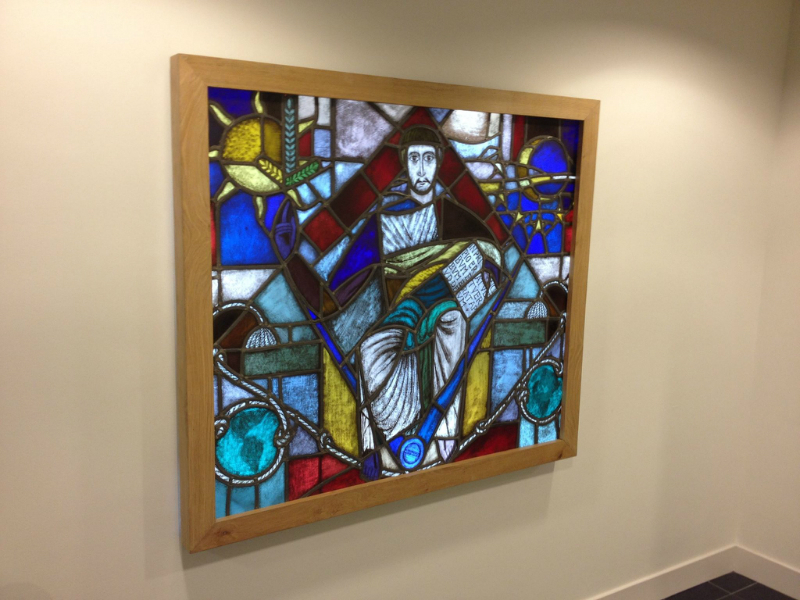 This stained glass window she wanted made in an oak frame with LED lights have so it could be hung featured in beautiful corridor. 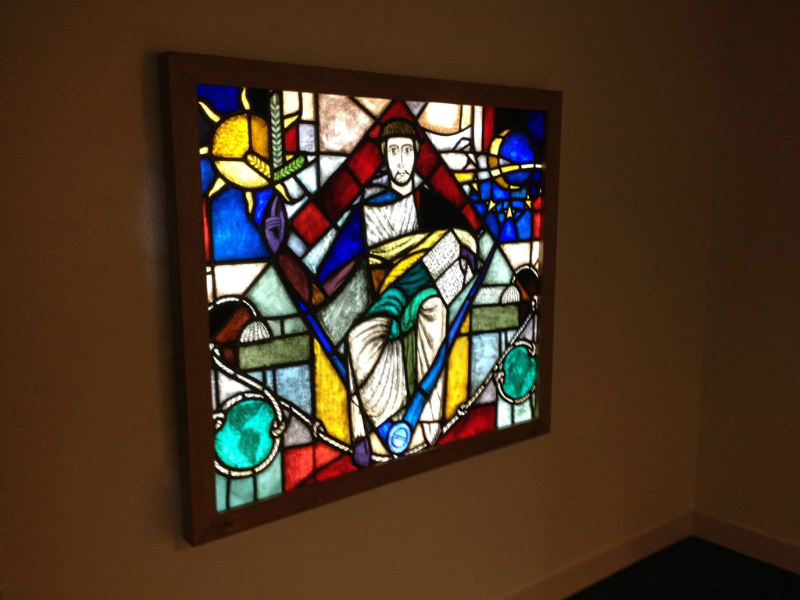 Stained glass in oak frame with led lights. 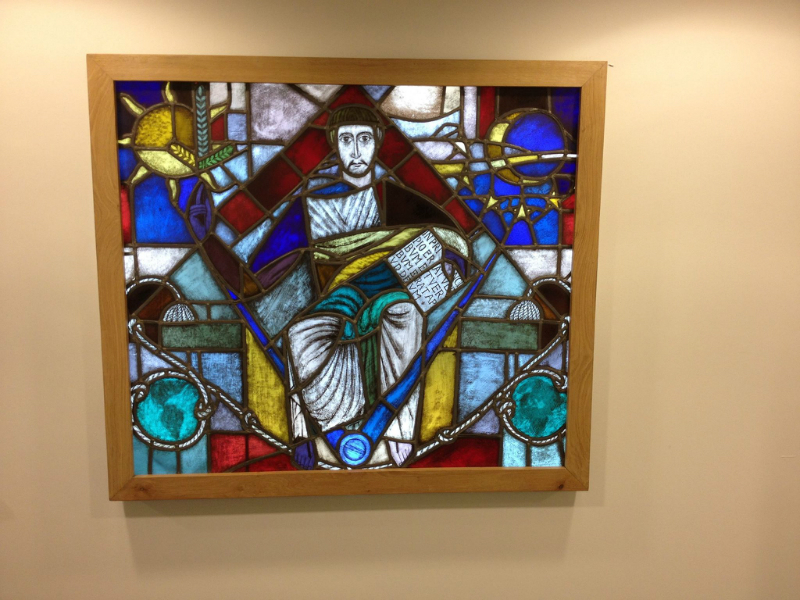 The stained glass window was in bad shape , the lead was destroyed and torn on some parts and loose. We have begun to restore these parts so that the window was again one stable unit. 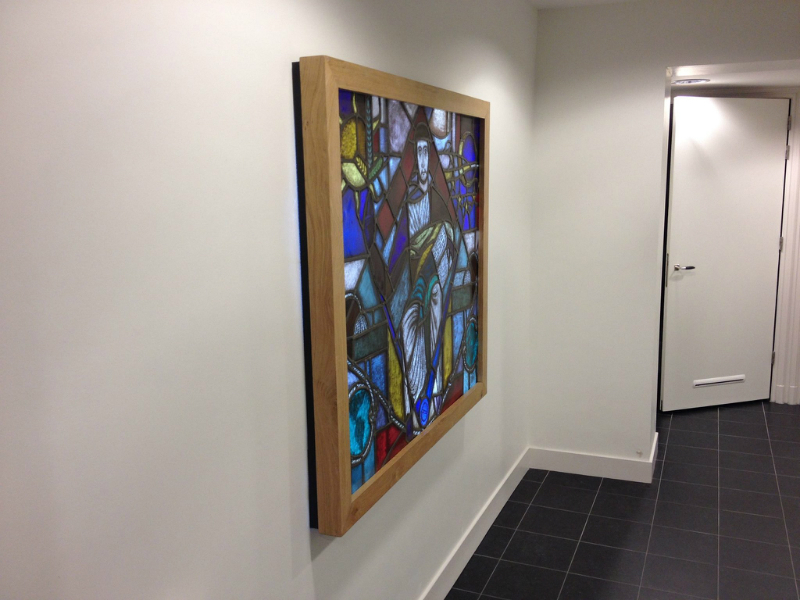 After that, the glass and lead by us posted bespoke oak frame and with special LED lights lighting featured on the back. Highlighting as evenly as possible from the glass here is the most important and the most difficult. By various calculations we found the optimal combination and the whole hanged on the spot.